“Barton Hollow” was a song about the fear of the consequences of sin. 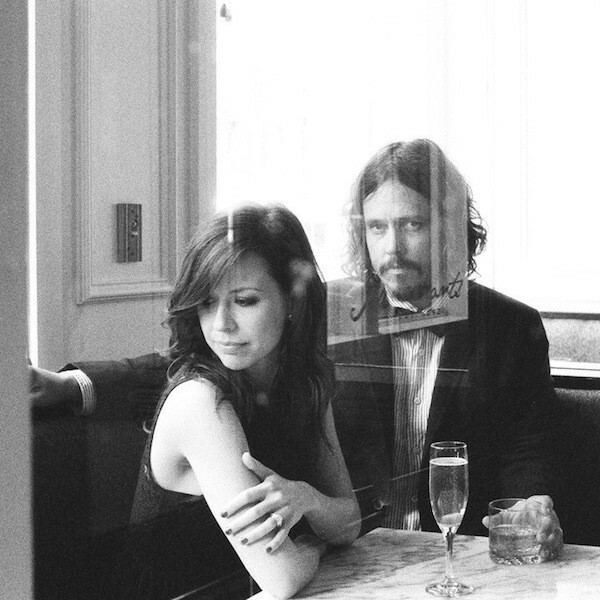 American Songwriter was ahead of the curve when we wrote about the Civil Wars in July of 2009, long before most people had ever heard of them, saying, “The Civil Wars are the lovely Joy Williams and the fantastic John Paul White. In addition to their solo careers, Joy & JP have begun The Civil Wars out of an unexpected creative chemistry that has been discovered between the two singer-songwriters.” In less than two years the duo inspired countless singer-songwriters with something that had been missing from music for so long — the impassioned sound of a single guitar and two voices with great pitch, singing songs with high emotion and substantive lyrical content. While they became known for songs like “Poison and Wine” and “The One That Got Away,” the power, energy and spiritual implications of their second single “Barton Hollow” carried an impact that woke up a lot of people who were complaining about how sterile and predictable music had become. It’s easy to overlook the foundation, the roots, of a song when it’s highly produced. On “Barton Hollow,” producer Charlie Peacock wisely toned down any instrumentation that didn’t add rhythmic drive to the two voices. He recorded the vocals in such a manner that the words were easy to understand, though maybe not always to comprehend, which usually led to happily listening to them again. Even the “ooo ooos” in the song made sense as part of the lyric, when sung with the urgency and moving notes as effective as any Beatles or Carter Family harmonies. Exactly what were these people singing about anyway? Whatever it was, they sang with a desperation that totally supported the lyric, and they wisely left everything else up to the listener’s imagination. “Barton Hollow” was a song about the fear of the consequences of sin that shared a great spiritual lyrical sensibility with Danny Orton’s masterful “Angel Boy,” from Tim McGraw’s Set This Circus Down album. The song also showed that Hollywood may have had its head on straighter than Nashville in terms of what country music was about, as the single won the Best Country Duo/Group Performance Award at the 54th Grammy Awards in 2012, despite the fact that the song wasn’t even sent to country radio. The duo, unfortunately for us, broke up just as their star was rising, but they gave hope to a generation of singer-songwriters who felt like they were wasting their time playing for free at open mics. All that’s ancient history now. But “Barton Hollow” still gives goosebumps the way it did years ago, and the lyrics are still just as cool to dissect and ponder.